A patch of brief warm sunshine and everyone gets giddy for festival season! Well it isn’t too far ahead but first let’s have a few good weekends in preparation. 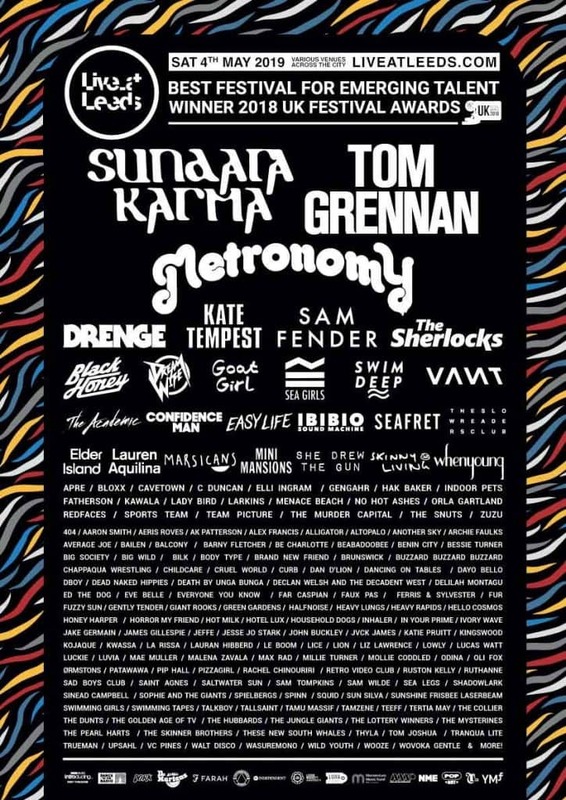 Festival season always starts for me at Live at Leeds and this year there is an abundance of great bands to go and see for the mere price of 1 x wristband £40 or to get VIP (Queue Jump) its £55!! A bargain – as I reckon you can see about 20 bands in a day (if you work hard enough), so that’s about £2 a band!! The line-up this year is incredible, with some superb talent on show. Soundsphere Mag will be there to capture all the action and we are particularly looking forward to checking out The Murder Capital, Saint Agnes and ZuZu amongst loads of others across the 21 venues open in Leeds on Saturday 4th May 2019. 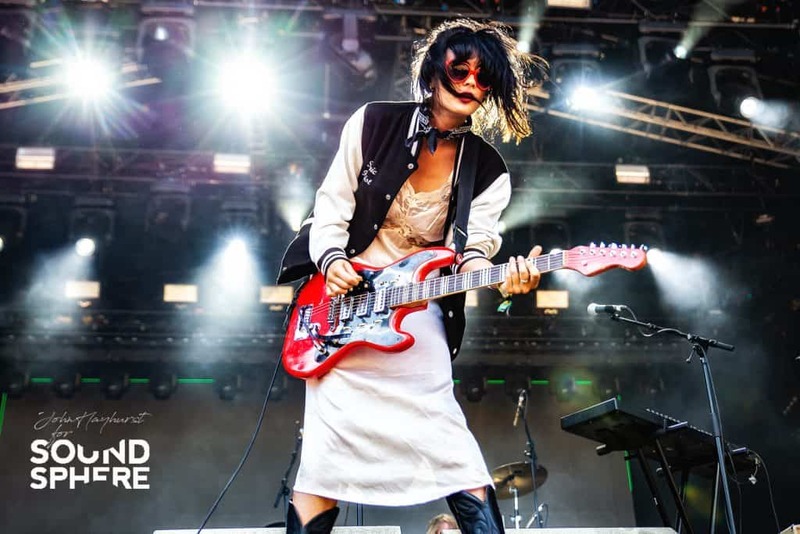 Officially named ‘The Best Festival For Emerging Talent’ at the UK Festival Awards this year, in 2019 ‘Live At Leeds’ will once again be putting its money where its mouth is with a mouth-watering selection of 100+ artists performing across the city. On the app are all the venues, stage times and artists listed. Plan your way through mammoth headline sets from the likes of the trailblazing Sundara Karma, revered game-changers Metronomy, the Mercury Prize-nominated wordsmith Kate Tempest and man-of-the-moment Tom Grennan and more; whilst also navigating though an impressive undercard brimful of the brightest faces in the business, which includes: spitting live kings Drenge, the BRIT Award winning Sam Fender, Black Honey, Confidence Man, Swim Deep, Mini Mansions, Dream Wife, The Sherlocks, Goat Girl, Easy Life, whenyoung, Gengahr, Marsicans, VANT, Another Sky, Sports Team, Squid, Gently Tender, Bloxx, Fuzzy Sun, Lauren Aquilina and many, many more. With some of the biggest and most exciting names in new music setting up shop across the city, Live At Leeds 2019 will prove why its award-winning reputation stands tall like no other – start planning your dream festival day here and now… – Just look at this line up!!!! Get your tickets here before they sell out and May the 4th be with you!